Whenever I think of getting fit, gaining muscle and generally improving my physical health I always think about what extra things I can do – what gym sessions and workouts I can incorporate into my day; but I rarely think about how much simply being a parent is keeping me fit. 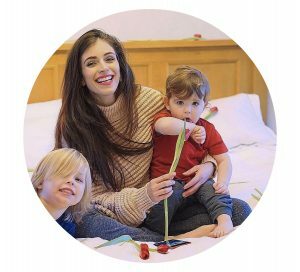 Being a muma of young boys I am constantly on the go; whether it’s racing Jasper and making obstacle courses with him or chasing after Jenson as he makes a break for the door – he’s a speedy little guy! A typical day of mothering consists of carrying children, changing bags and laundry; pushing strollers, trolleys and swings and loading and unloading the car. Every day I try and do something with the boys like a soft play trip, visit to the park or simply a walk and even if we don’t leave the house I’m constantly squatting to pick up toys and stretching to put them away – it really is a strenuous job! Well to see just how active my parenting days are, Graco set me the Parent Miles Challenge; they sent me a fitbit and asked me to wear it and see just how active my lifestyle is. Well I can honestly say that I was so surprised, even though I knew what hard work being a muma was, I mean I had the eye bags and tired feet to prove it; I never realised the positive impact it’s been having on my health. Here’s a typical day of ‘mum-ing’; we had a morning play date and soft play trip followed by an afternoon walk and trip to the park and then an early evening session of sofa obstacle course building. 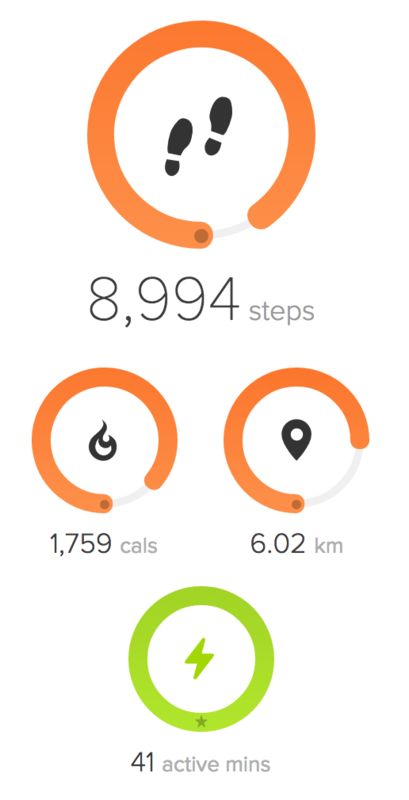 Throw in a few runs up and down the stairs after the toddler; juggling a baby on my hip whilst cooking, cleaning and tidying and boom I hit 90% of the recommended daily steps! I was a bit surprised by 41 active minutes because I felt like I was active all blooming day but I guess really that only takes into account when you’re doing higher intensity stuff like when I was going for my walk or chasing Jasper through soft play. Seeing this day gave me such a boost as I do love to go to the gym and I know adding in a fitness class or even 10 minutes on the cross trainer would improve my fitness levels significantly! I will say that my aim isn’t to lose weight so burning calories isn’t something that I want to achieve; it’s more improving my health and fitness and gaining muscle so at least I know that if I wanted to skip the cardio at the gym and go straight for weight training, I would have done enough cardio style work throughout the day anyway to gain the benefits that you get from cardio! 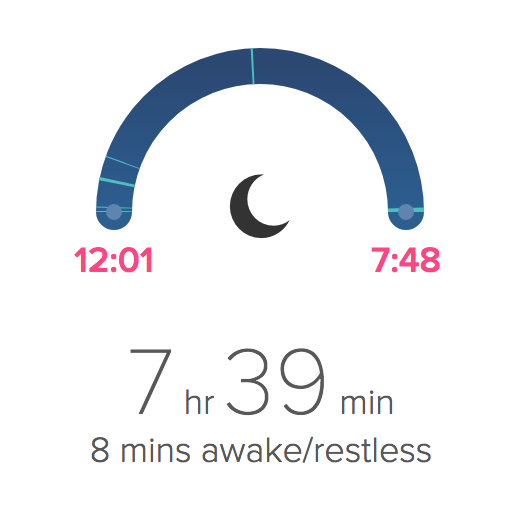 I was also pleasantly surprised by the quality of my sleep. I always assume that my sleep is really unsettled and disrupted; I find it hard to drift off and I always wake up tired so I just assumed that I wasn’t getting enough but according to this I sleep pretty soundly. I would never have guessed that I was getting an average of 7-8 hours of sleep a night despite a few minutes of being restless, so I’m going to give my kids a bit more credit and start to think of other reasons as to why I may be so tired in the mornings e.g. low iron levels. Graco conducted some interesting research, comparing how active parents of children aged 3 and under are compared to office workers who visit the gym at least three times a week. They looked into the weight parents carry each day, the distance they travel and the duration that they spend on their feet. They got some really interesting results and let me tell you they certainly made me feel like I should be entering some kind of strong woman contest! ‘New parents spend an average of nearly eight hours a day on their feet, with nearly a third (30%) spending more than 10 hours on their feet each day’ – This is equivalent to walking nearly a whole marathon (20.5 miles) each week. 1. Forget bulky handbags which can turn into bottomless pits and get in the way when you’re on the go with a little one. When you’re racking up the miles behind your pushchair, free up your hands by wearing a backpack instead. 2. To give you the ultimate freedom to get out of the house whether you’re on a day-out, shopping, or climbing stairs, choose a light weight pushchair. At 3.6kg, the Graco Featherweight is about the weight of an average new-born baby, and suitable from birth to 15kgs or approximately three years. 5. To cut down on the time you spent on your feet and out and about, group your errands together by choosing a supermarket, or shopping area, that has other services you need, like dry-cleaning, shoe-mending, a pharmacy and postal services. I absolutely love these tips, I’d never thought to snap a picture of the inside of my fridge for food shopping – genius! 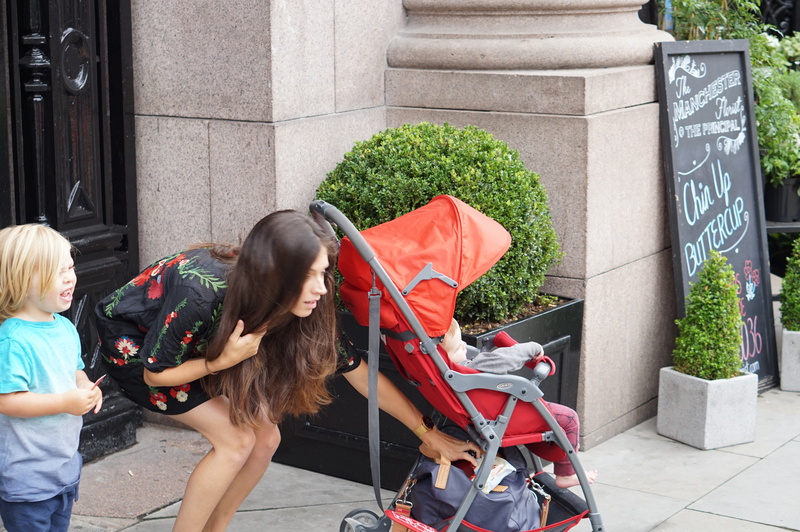 I also completely agree with using a backpack to free up your hands and opting for a lightweight stroller – you may have seen on my instagram that we’ve been using the Featherweight a lot, especially for travelling and it is a total game changer! 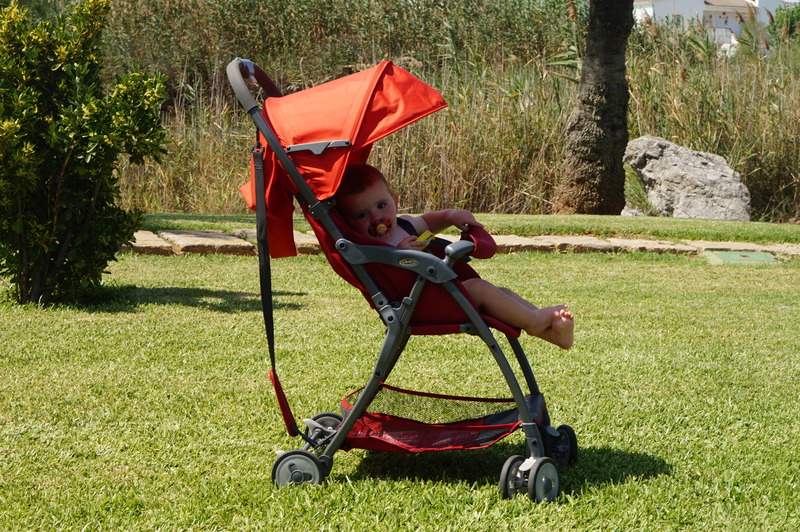 It’s the lightest in the UK, has a huge basket and with it’s lie flat option is perfect from birth! I’ll be doing a full review of it soon so definitely keep an eye out if you’re in the market for a lightweight stroller! Have you thought about how much being a parent is keeping you fit? Why not try making a note tomorrow of all the activity you do like running around after the kids, carrying your baby, chasing your toddler – I bet you’ll be surprised by just how active you are! *This post is sponsored by Graco, all opinions are my own.